Grew up with TP Izmir (Turkey) juniors. Made his debut with Troy Pilsner Izmir during the 1997-98 season. Signed for the 2001-02 season by Besiktas Spor Kulubu Istanbul. Signed for the 2003-04 season by Pinar Karsyaka. Signed for the 2004-05 season by Turk Telekom Ankara. On January'05 signed by Pinar Karsiyaka Izmir. Signed for the 2007-08 season by Banvit BK Bandirma. Signed for the 2008-09 season by Mersin BB. 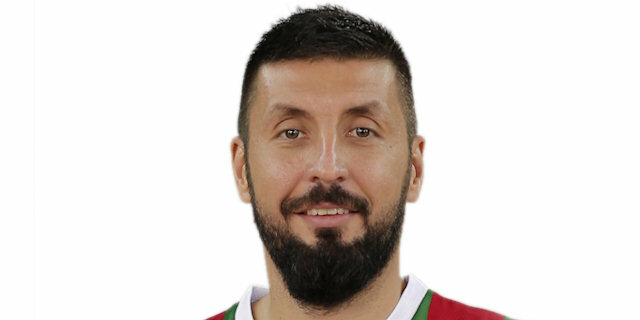 Signed for the 2010-11 season by Tofas Bursa. Signed for the 2013-14 season by Pinar Karsiyaka Izmir.